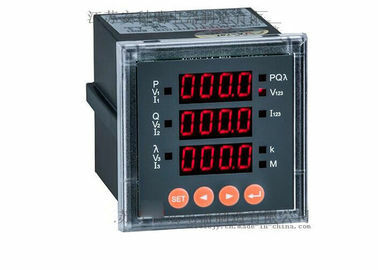 Programmable single-phase intelligent meter adopts alternating current sampling techniques, which enables it to measure power in ammeter, voltmeter, single-phase active and reactive power meter, three-phase active and reactive power meter and power factor meter. 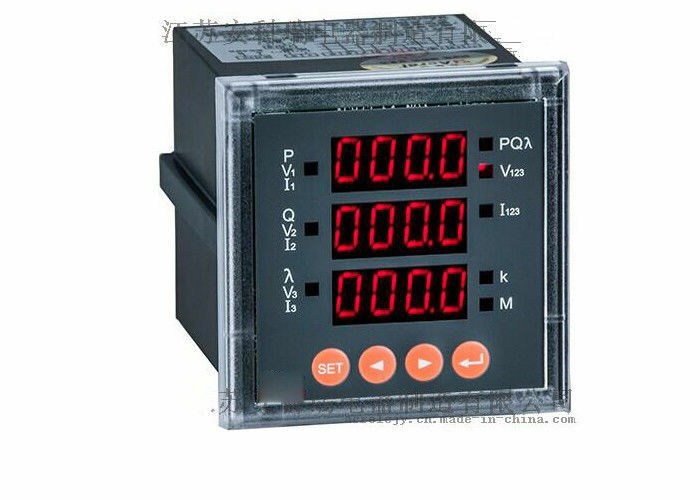 The rate can be set by the panel buttons, and the meter has a high cost performance. The product is convenient to install, easy to wire, and simple to maintain. It has few projects and can be set input parameters as field programmed. And it can communicate with different PLC and industrial computers in the network. Installing the meter with the power is forbidden!! The meters should be installed indoor and protected with the special metering box; and the mounting plate should be fixed tightly on the anti-flaming and there shall be no harmful substance such as dust, salt spray causing the corrosion in the air. The connection process should in accord with the wiring diagram printed inside the meter cover and the leads should be made of copper to connect the bottom of the meter terminal that tightened with the screws to protect the meter from being damaged by the loss contact.